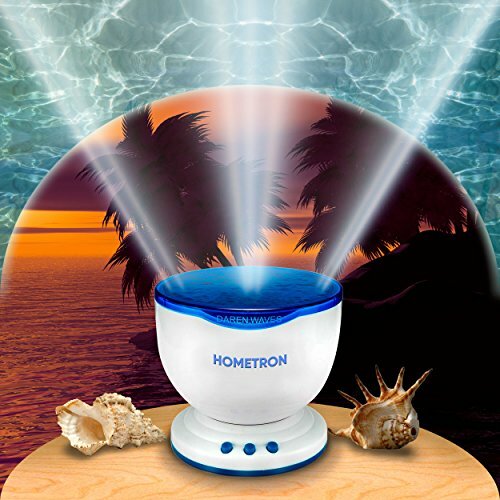 ★ LED light blue projection lamp createharmonicpaysage for physical and mental relaxing effect in thebedroom or living room.You will be involved into aemollientblue led light atmosphere. ★ This led light projector helps to avoid insomnia, supporting better sleep forkids and adults. - Ideal thing for people who working hard anddeserveslack end of the day with calming and sparkling lights.Our led projector lights allows to feel as immersed in the deep sea calm or as relaxing water waves on the ceiling for a soothing bedtime effect. ★ Can create a sensory roomthat combines flavors, fragrances, colors and sounds together with views of water waves. It also can be use as autism toys for developingchildren's sense through blue led lights and music. ★ Safe; night light stays cool: Features an auto shut-off; 60 minutes sleep timer - Can also be shut off manually - can also be powered by 4 "AA" batteries (NOT INCLUDED), and measures approximately: 5.2" x 5.2" x 5"
If you have any questions about this product by HOMETRON, contact us by completing and submitting the form below. If you are looking for a specif part number, please include it with your message.